What’s the best way to contact a journalist when you have something to say? This is a question I regularly get asked when we run media training courses. The majority of reporters and correspondents still prefer contact by email, but an increasing number of PR people now use social media—for instance by sending Direct Messages on Twitter to get the attention of relevant individuals. 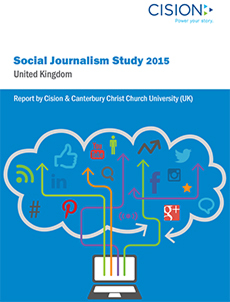 However a new survey of UK journalists, carried out by Canterbury Christ Church University and the PR database provider Cision, suggests that while most now use social media for their work, they are now actually spending less time using the technology than they did in 2013 or 2014. Meanwhile, busy reporters hate being bombarded with telephone calls along the lines of ‘Did you get my press release?’ or ‘Are you going to write about my client’s boring new product?’ and the report shows PR people may be getting the message—use of the phone is less frequent than it was and is predicted to reduce further. From my experience social media can still be a very powerful tool; many journalists appear to be on Twitter all the time, and plenty more love to use it to promote articles they’ve written. Yet the survey shows the percentage of journalists using social media regularly for four or more hours a day has declined during the last three years, from 24% in 2012 to 13% in 2014, suggesting saturation point has been reached. This means there may be a bigger time lag before any contact from you is noticed, or it may be missed altogether. It is still a smart thing to engage with the key influencers in your field; follow them on Twitter (they may even follow you back, then you will be able to DM them if you wish to), and join in their conversations if you have something interesting to say, in order to get on their radar. You will soon find out what sorts of things they are interested in. So far as email is concerned, most simply ignore the vast majority of press releases that clutter their inboxes every day. 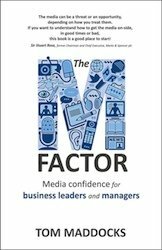 So if you really want a journalist’s attention, personalise your approach in a way that suggests you actually read their publication or section and have thought about where your story might fit in. Contact them via social media if you can see this is their favoured method, but bear in mind a stubborn minority of around 20% are active social media sceptics according to the survey, so a tailored, relevant, well-written email remains your best option.